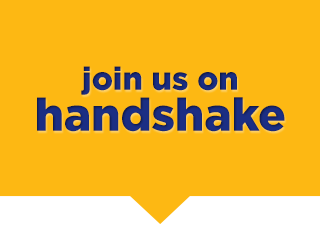 Handshake will serve as your one-stop shop for resources previously accessed through R-CareerLink and Jobs for Tars. This includes job boards, self-assessments, mock interview resources, and more. Students: Login using your Rollins email & password. Alumni: Choose "Need an Account" above the Rollins College Sign On portal. Then select Student/Alumni and fill out the form as directed. Your request for an account will be approved within 2 business days. Vault- Vault is just that: a vault of information for your career preparedness! Whether it’s making an industry specific resume, diving deep into industry research, preparing for an interview, or finding out the best places to work in your city, Vault has the inside scoop. Focus2 -This career planning tool provides students with inventories designed to help students assess interests, skills, values, and personality type and how they match possible careers. • Assess personal interests and match them to careers. • Examine professions based on Rollins majors. • View job descriptions, salary, and other training information, and learn what to expect in certain organizational settings and work environments. Big Interview- Practice with both general and industry specific interview questions from the comfort of your own space. Big Interview has expert coaching to help you prepare for your next interview through live video recording and replay. Your professor or career counselor can review your answers and give you detailed feedback on how to put your best foot forward. What Can I Do With this Major?- ﻿This site is a quick and easy way to connect majors to careers.